If anybody needs to shop the used market of automobiles, it’s families. Kids, bills, home repairs, pets, you name it and it will drain the money out of a family’s bank account faster than you can say, “Hey, what the…?” Shopping used just makes good economic sense because finding a vehicle that’s a couple years old can save you thousands in sticker price; and unless the vehicle has been in an accident already, the safety of the vehicle isn’t compromised from the say it rolled off the lot. 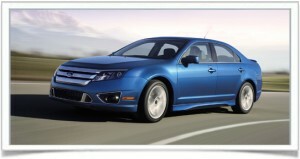 That being said, let’s take a look at what the IIHS, Consumer Reports, and the NHTSA say are the best used family cars. The 2011 model of the Ford Fusion received four out of five stars in the government’s new crash test ratings, and they managed to pull a perfect score of 10 in the Safety category from U.S. News and Consumer Reports. Families will love the 16.5-cubic-feet of trunk space, and the 23/33 mpg (city/highway) fuel efficiency should appeal to the economic side of all drivers. The addition of All-Wheel Drive will add to the safety standard of the Fusion, but it’s not totally necessary as stability and traction control now come standard. 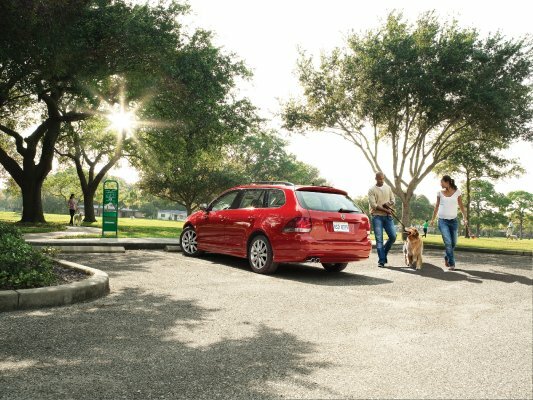 Also earning a perfect 10 in the safety category of U.S. News and Consumer Reports is the IIHS Top Safety Pick Volkswagen Jetta SportWagen. While its reliability is still somewhat questionable, the safety standards of German engineering are incomparable. The IIHS Top Safety award has adorned the SportWagen three years running. Fold down the rear seats in these model years and you’ll enjoy a whopping 54 cubic feet of cargo space. Its interior, practicality and safety make it the premier family wagon. The newer-model Santa Fe’s have received four out of five stars from the National Highway Traffic Safety Association in rollover tests, which is fairly standard for crossover SUVs, but the IIHS overall rating of Good in 20 different categories puts it atop the list of crossovers for safety. “Like the rest of Hyundai’s lineup, it’s a good value.” (Car and Driver) Not only does it lead in the safety category, if you pick up one of the ’08-’11 models with lower mileage it should have the remainder of the 5-year/60,000-mile factory warranty. In terms of safety, you won’t get much better than the Hyundai Genesis. You probably guessed that since we have it listed here. In terms of luxury, however, you may be surprised that this one is a Hyundai. If it weren’t for the emblem on the steering wheel, you may believe you’re sitting in a Lexus. All model years listed are IIHS Top Safety Award winners. “Eight airbags are standard – including front seat airbags, torso-protecting side-impact airbags for both front and rear seats, and full-length head curtain airbags.” (U.S. News) This one also comes with the remainder of a 5-year/60,000-mile factory warranty if you can get one with low miles. 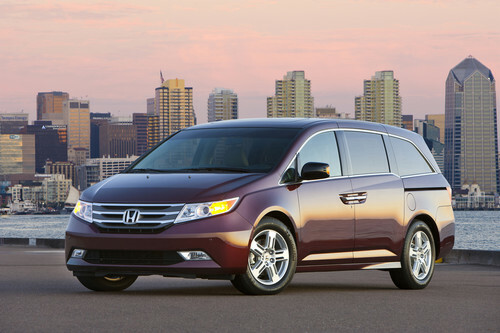 The Honda Odyssey provides an array of practicality and conveniences for families, as well as the best safety record of any minivan on the road. While the newer models (2010 and 2011) are rated higher by the IIHS and NHTSA in safety standards, the older models (2008-2009) aren’t far behind. It also scored nine out of a possible ten in J.D. Power and Associate’s reliability tests, making it the perfect soccer-mom minivan.